Ah college, the “Best Time of Your Life.”™ You’ve most likely heard that phrase, or something to the same effect, thrown around by people older than you. You couldn’t wait to get to college, to have a taste of this magical, fascinating university life. To mingle with professors and students alike, and to rub shoulders with people from all over the place. But make no mistake about it, while college life is all that and more, it’s also a battlefield where your strength and patience are tested to their limits. So here are a couple of situations which are bound to get on your last nerve, provided here so that you might take notice (and maybe caution!). Being a student, public transportation is a fact of life. It’s inevitable, much like taxes, death, or high costs of tuition (!!!) 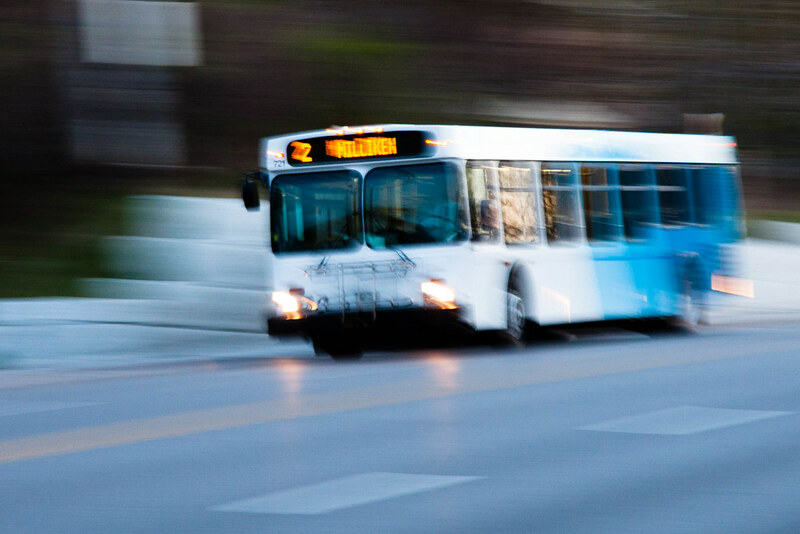 On your daily commutes, you will find many drivers, but they can be handily categorized into two distinct groups: The Dude From Fast And Furious, and, The One MPH Dude. The Dude From Fast And Furious (shortened to TDFF) drives, as the name implies, as if he’s an extra racer on the set of The Fast and The Furious. His two main philosophies in life are pedal to the metal, and brakes are for cowards. He times his “laps” – as he loves to call them – and he has a natural disdain to police officers everywhere. After an encounter with TDFF it’s normal to hug the very first person you see in front of you, to have a renewed appreciation of life, and to have a fresh change of pants. The polar opposite to TDFF is The One MPH Dude (shortened to TOMD). He practices relaxation and non-hostility in every situation. TOMD believes that life is too short so you might as well live it slowly, and that nothing is worth speeding for. Yes, that includes your final which you are as of now 10 minutes late for. But hey, you get to revise while your commute time is doubled ! Yeah, this was probably taken after school hours. Photo Credit: Lehman College. 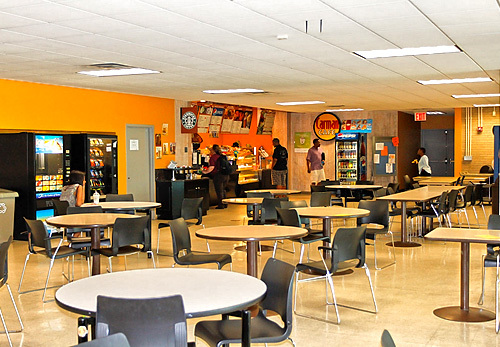 Picture a university cafeteria, what do you see? Rows of orderly students, waiting perfectly in line? Lots of “After you”? Scholarly discussions on the latest academic disciplines? Yeah, no. This is a dog-eat-dog world! It’s either skip the line or wait an eternity, push or be pushed, eat or be eaten (okay that last one might’ve been an exaggeration). Still, while university students are some of the most well-behaved people you will ever meet, the hunger plus the lack of sleep and a diet made up of 99% caffeine combine to create a monster dressed in smart-casual attire. And please don’t get between students and their daily intake of caffeine, especially during the morning, when the beast student has just awaken and needs his or her daily intake of coffee or tea to jump-start the day. So, by a genuine streak of luck you were able to get safely (i.e. in one piece) to the college campus, struggled through the Third Cafeteria War, and now you’re off to do what college is all about: Learning! Lectures are the main mechanism by which information travels from the teacher’s head to yours. They’re also a place of art, where students bring out their inner Picasso on the desks, or a place where that one student bursts out singing (No Kathy, your voice is truly and utterly terrible, you just scared away a crow, A CROW KATHY!). It is also home to that teacher we all know, you can always describe him/her as such: He/she enjoys the day torturing students and academic staff alike. He/she is always cranky, whether it’s an 8 a.m lecture or a 2 p.m one. He/she always reminiscences about “The good old days”, those days, of course, were the days when he/she was a young man/woman teaching at (Insert Prestigious American/European University) and how it was so much better in every possible metric. A rant about the superiority of just about every educational system in the world other than ours is obligatory in every lecture. And he/she caps off the day with a stern reminder to the students that he/she came back from (Insert USA\European Country) just so that he/she could benefit them with his/her immense knowledge and experience. Phew! That was a long article. Yes, you’re probably imagining college or university as a hell from which you will never escape. It’s not, on the contrary, it’s one of the best, most encompassing experiences you will ever have in your life. All those people that you meet, the different, and quite interesting, points of view that you accept and reject. All of this will help shape who you are for the years to come, and there’s no better place to get this weird and fascinating mix of experiences than a college or a university.